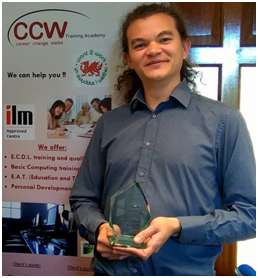 CCW-Training Academy was one of the few Training Providers in Wales to deliver training in many market leading courses under the European Social Fund and the Workforce Development Programme. CCW believes in providing the highest quality standards when supporting its learners and operates an ISO 9001:2008 Quality Management System. The ISO 9001 is a quality management system (QMS) which is a collection of business processes focused on achieving quality to meet its customer requirements. CCW has a quality policy and a quality statement that is certified by our ISO 9001 accreditation. CCW has gained Investors in People (IiP) status. Since 1991 Investors in People has set the standard for better people management. With a community across 75 countries worldwide, successful accreditation against the Investors in People Standard is the sign of a great employer, an outperforming place to work and a clear commitment to sustainability. CCW is an approved centre for the Institute of Leadership and Management (ILM), the British Computer Society (BCS), and EDEXCEL/Pearson. This means that CCW can offer various different training programmes accredited by these organisations. CCW has been working closely with the Welsh Government (ReAct team) and local Careers Advisers (Careers Wales, Want2Work and DWP) for the past six years to deliver training and employment skills. The training and development on employability skills that CCW provides enabled learners to return to work, better qualified, gaining more skills, and in a short period of time. Since 2009, CCW has trained more than 500 candidates and achieved an exceptional success rate in advising on successful job seeking applications, preparation for interviews/presentation and CV writing. Over 80% of CCW’s learners have attained employment within three months of training with us, well over the UK national average. CCW has been involved in European Partnerships and Co-operations under the Lifelong Learning Programme. CCW has received more than 30 European interns and it still continuing with the Erasmus+ Programme. Over 90% of young adults completing their internship with CCW have found permanent employment. CCW has recently been successful in the e2MP (Erasmus+) project, as supporting partner, leading on the intellectual output on ‘European Mobility Management Online Training’. This European Project is an on-line portal designed to train European youth managers working with young people and people with fewer opportunities. The e2MP on-line portal will give a better understanding on Erasmus+ programmes, easier access for the application for funding and better support in mentoring people before, during and after a mobility project. 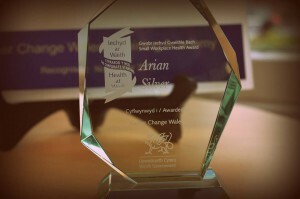 CCW has received the Bronze & Silver Awards from Healthy Working Wales in 2014 and 2015 for promoting a healthy living style to its staff, tutors, customers and partners. CCW has been awarded in September 2015 ‘Small Workplace Health Silver Award Holder’, by the Public Health Wales . We have recently received our Silver Award trophy for promoting healthy living style in our office and during our training classes. We will continue to do so in the next year and provide fresh fruits to our clients and a positive culture in the classroom.